Its competition time once again here at Wineware and this time it’s a fun guessing game! 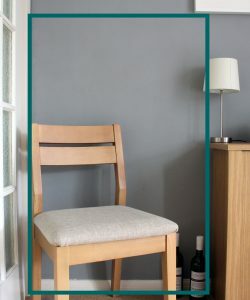 We’ve reworked the old classic ‘Guess the amount of sweets in a jar’ and come up with our own, unique version of guessing how many wine bottles you could store in the available space! All you have to do is work out how many standard bottles you think you could store in the available space on the image below. Obviously we’re not going to make it easy so we haven’t supplied any measurements, you’ll have to work that out for yourself! THIS COMPETITION HAS NOW FINISHED! Well the winner will receive a £50 Wineware voucher to spend on anything they like! If there are multiple winners then the winner will be picked by random. See the below mock up of how the 112 bottles would look in the available space! 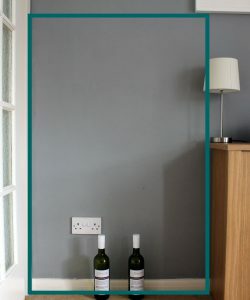 We had a gap of 850mm wide x 1380mm high, therefore we could fit an 8 (795mm) x 14 (1365mm) traditional wine rack in the space! – The bottles would have to be stored in one of our Traditional Wine Racks. – The bottles would be of standard size. 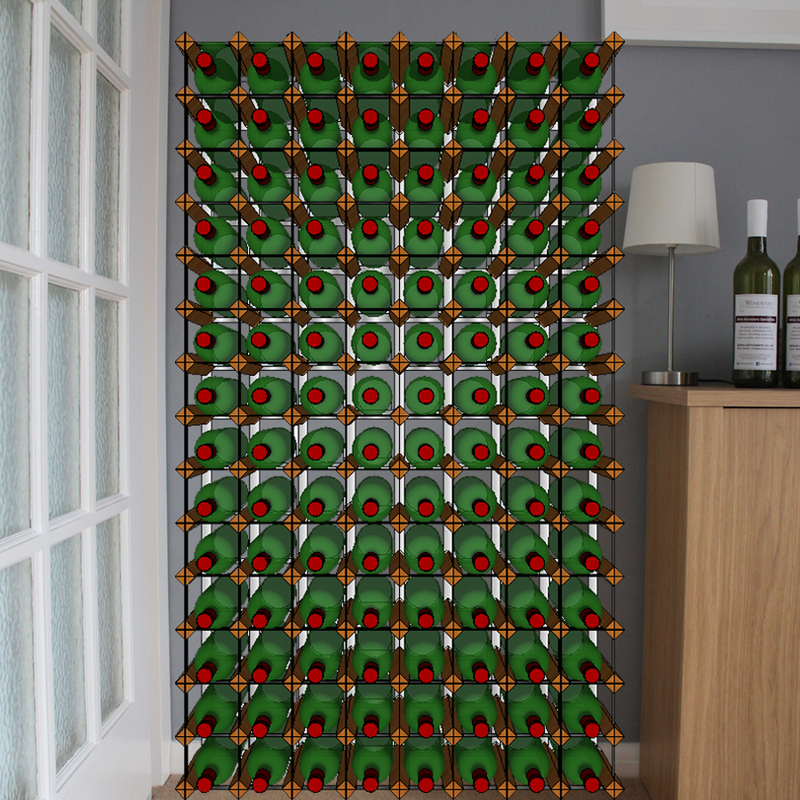 – The traditional wine rack would be one bottle deep. – You can only enter once so make sure your entry counts! – The closest answer will win! How to enter the Competition to WIN a £50 Wineware Voucher? 1 – Guess how many bottles will fit into the available space on the image. 2 – To enter, you must give your answer by either replying to this blog post or via Twitter / Facebook. Using our Traditional Wine Rack Calculator will help! Competition closes at midnight on Friday 4th November 2016. 288 I think 24 rows of 12. 112 (based on 16 bottles high x 7 bottles wide). 126 – Using the socket as a base for measurement I calculate a traditional wine rack of 14 high by 9 wide. For some reason 60 is the amount my head tells me. I would say (with a hint from the traditional wine rack calculator) 91 bottles. I think it will hold a wine rack with space for 126 bottles! 290 and i would love to win every last one of them! My guess is 180 bottles!